I'm doing a happy dance! One of my big art goals is now reality. It's been a test of my courage. I hesitated as we do so often, afraid of the unknown. Feeling out of my element and knowing that I am running out of time for this to happen, it would mean a lot of hard work. It wasn't as scary as I made it out to be. Will you share 30 seconds with me and go check it out? I would love for you to see my artwork. 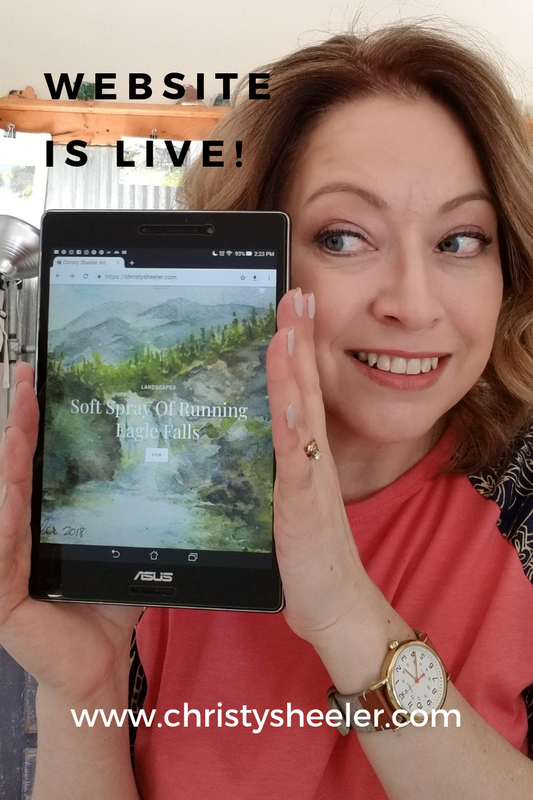 While you are there, sign up for my newsletter! I'll let you know when new artwork is added. There are several collections and I'm already planning one or two more for spring and summer. I will continue adding options to the website such as matting and frame offerings. 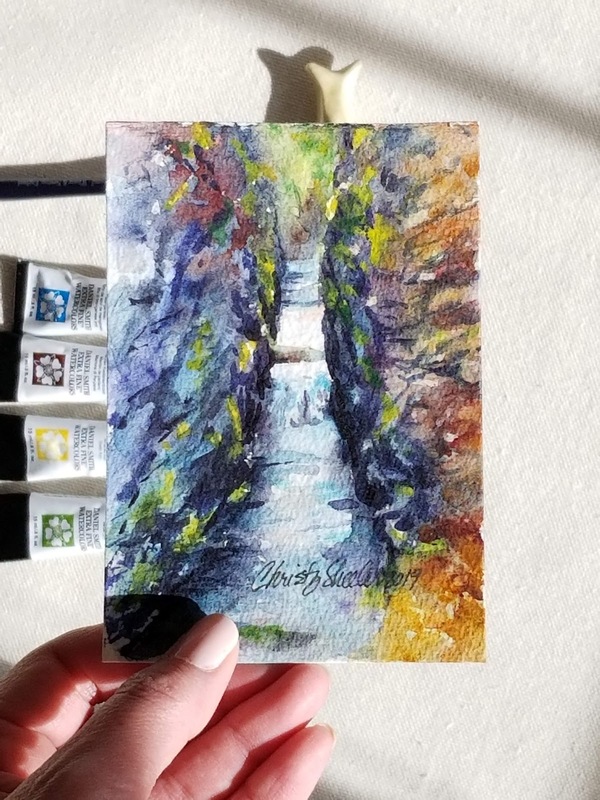 I am off to paint more for the next collection to be added soon. Stay tuned! My time is running out...website coming. It's nearly spring and that means I will be returning to my other job (joy, really) as a nanny. Spring through fall, I have a dream position caring for the three children of a local family. As the time approaches, I am carefully taking stock of what I would like to accomplish with my art career. With just a few weeks left, I am looking over priorities. 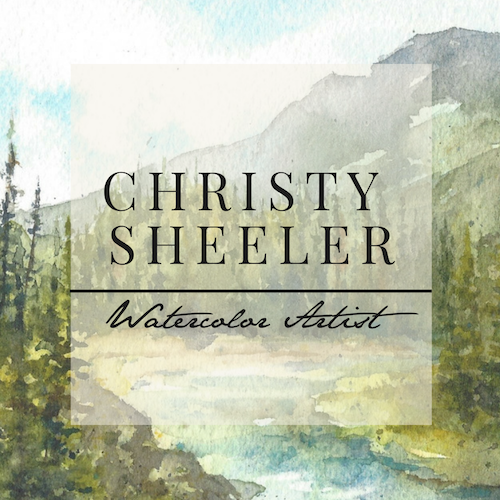 I am preparing to debut a website of my own for my watercolor artwork. Artwork is being photographed to show in its best light. Over time, I have been building my body of artwork. I am not sure whether I am 100% ready but that cannot keep me from moving forward. My word for the year: courage. I believe this blog will be continued on my new website. Whether this blog remains as is for art tips and techniques written for other creatives...I have not figured that out yet. As this all comes about, I will be sure to post information here so that you can find me at my new location. The new website blog may have my thoughts and insights about upcoming artwork for collectors. Thank you for your encouragement and interest in the next chapter of watercolor journeys as I continue with my goals. Please be sure to keep in contact. I know there's so much more to come! I look forward to seeing you there! Can I create a short update? Is it possible? I'm not sure how long you've been hanging out here at She Must Make Art, but it shouldn't take long to notice my posts are usually lengthy. I am giving myself a new challenge to stick with this year. 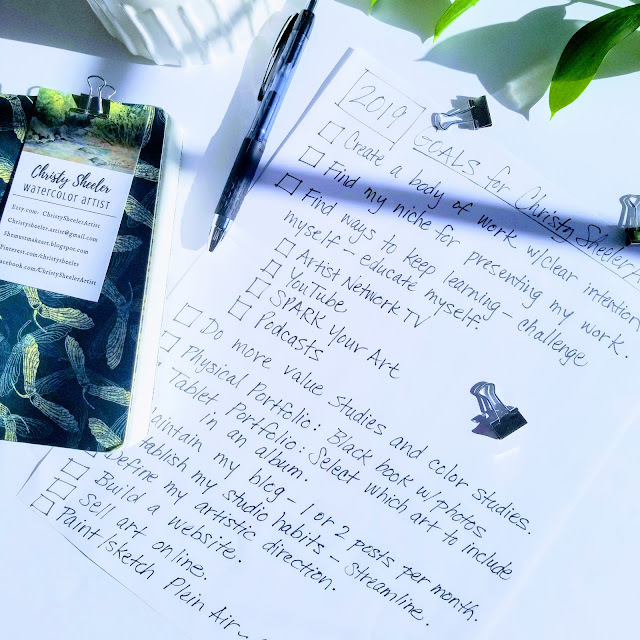 There's a lot happening with my 2019 goals, including working toward a new website. I've got new work completed and in frames, now displayed in my art room. I will host a photographic tour soon. Today, I have a quick look at some of the new work that's in progress or just completed recently. The watercolor artworks are smaller, what some would call "littles" and I am able to finish them more easily. My hours spent on art are broken up often with life's meetings and appointments not to mention family time. These artworks are loosely based on photographs. I am stretching myself to be more willing to paint intuitively. That means that I am seeking to paint without being held tightly to what the photo is describing by itself. I have new pigments and brushes so some time is needed to become more familiar with those new supplies. Pigments have their own qualities of transparency, granulation, warm vs. cool and how they mix with other pigments. It takes time using new brushes to feel more confident in the marks they make in my hand. I've got several new artworks just recently completed but today I am sharing only two of them. I'll have more to share soon. These are smaller which is so nice for shipping off to new homes. They are easy to package up safe and snug, even in a frame, and much less worry in the process. I pick up about 4 frames at a time. I've found where the style of frames are well suited to my liking and affordable, too. It's a wonderful thing having artwork framed and on display where I do the creating on a regular basis. These two are now in frames so I'll add a photo of them at the end. Hold your mouse over the photo to see the titles and sizes of each one. Okay, so that's all for today...thank you for dropping by to see new watercolors and be sure to stop back again soon. I'll be here, painting away and thinking about what to share. Have a great rest of your day! I have been stalling on this one. It seems like a huge project. Once I get started, I feel more excited. Maybe it seems daunting but in reality, it's such a good thing. I have a folder labeled "GOALS" which is where I keep my art goals from previous years. 2015. That's the year I made my first list of art goals. 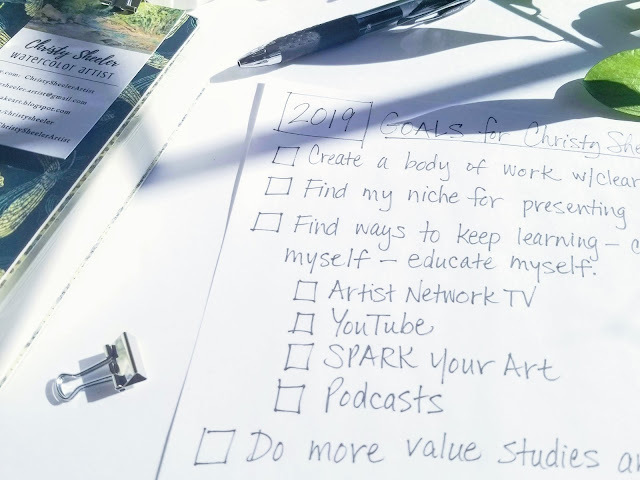 Each year, I make a list of art related goals I haven't reached yet. 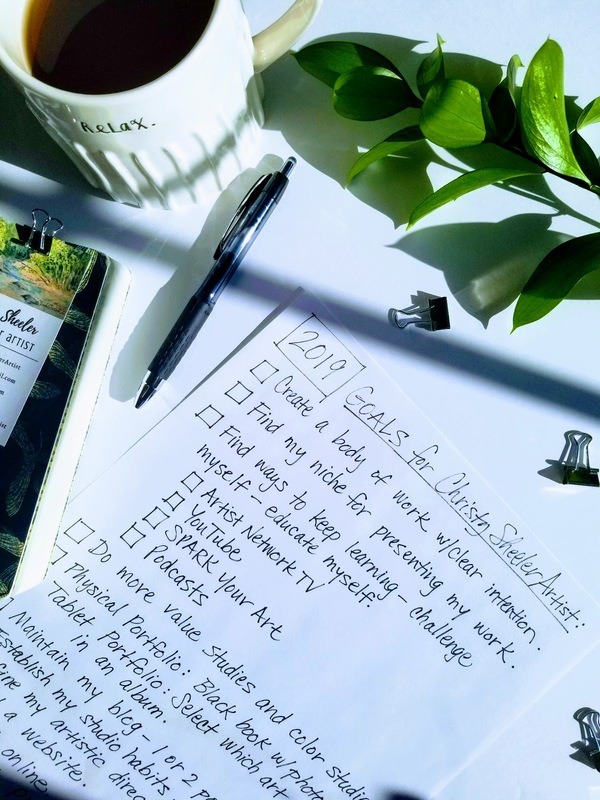 The list contains some of what I didn't finish the year before and more that I can imagine past those goals. Some items on the list are easily done. Others will take serious effort and time. A few will require me to find others to give me some assistance. 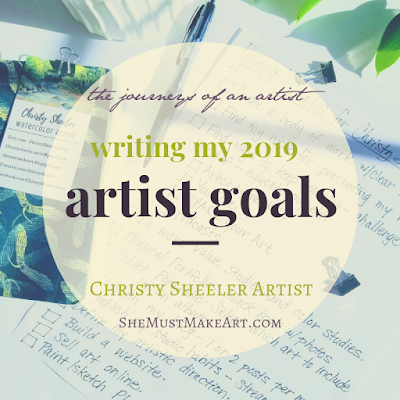 Last year, I posted Writing My Artist Goals. 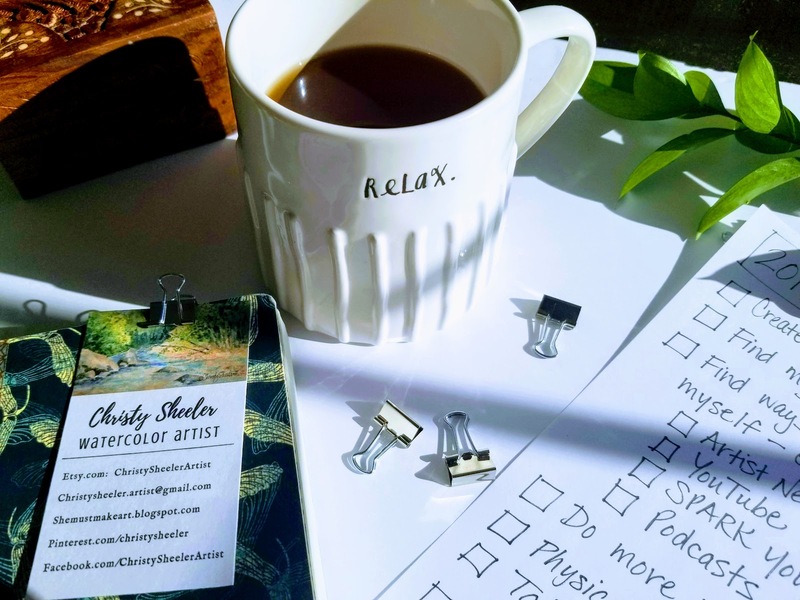 I have 5 simple tips to share if you're interested in writing your own artist goals. Here's how I go about the process to create my own list. 1. Reflect back on where I have been. It's time again. While I avoid it, it's not so bad. Looking over the previous year's goals, thinking about how much I was able to do, is very satisfying. I feel a sense of accomplishment. I didn't let art go. I kept this commitment to my creative self. There's so much to distract and reroute life. So many different directions that my attention is drawn...so many responsibilities. It would be natural to become sidetracked with other interests. Years ago, my art room was close to being like a ghost town...you know, the photos of interiors where there's an inch of dust on every surface, cobwebs create a veil of gray, and a sadness at the way furniture has fallen apart unused. This room is attached to the back of our house. It's by walking from the kitchen, through my art room, out the back door that we get to the garage and backyard. At times, I was slightly grieved with each pass through this room to leave the house. I felt an inward struggle, knowing I needed to put other people and responsibilities first, but still missing my artist self. I found that I enjoyed looking back over my 2018 art goals. As I was reading through each one, I checked off those that were completed. 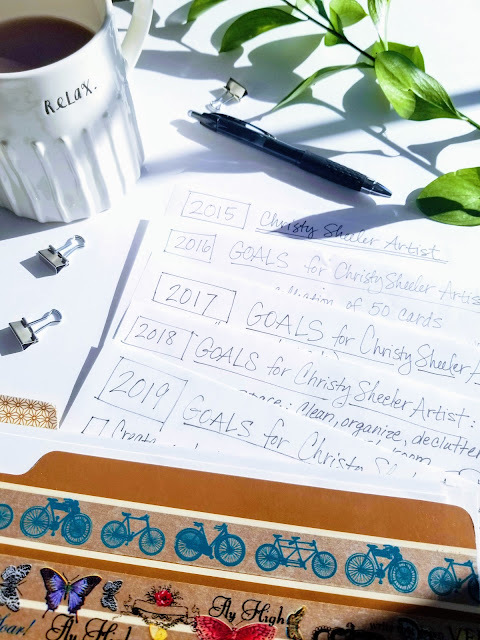 I examined the goals not completed and then chose whether that goal should be carried over to 2019. Maybe some goals weren't as important in the grand scheme of things. If I felt a remaining desire to try again, that one is a keeper. 2. Remember my commitment to my art. 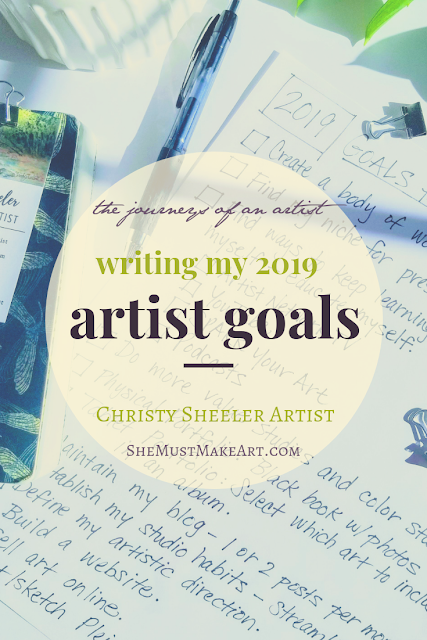 When I began writing my art goals in 2015, it was like a personal declaration that art is important. Art is important to me. For many years I had let everything else be more important. My creative self felt like it was starving or worse yet...dying. I craved that energy flowing through my mind to the paper, becoming a watercolor work of art. That was the year when I decided to never let art be crowded out again. Creating my own art is important to me. I am committed to keeping art as a priority in my own life. 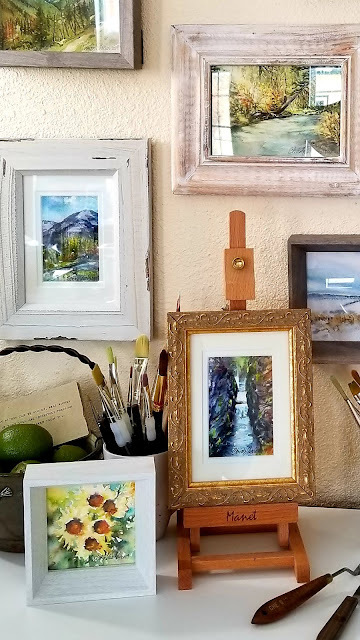 My artist experience changes with the ebb and flow of life. Sometimes, I have several full days to dedicate to my art. Most often, it's fitting art into the free slots of time...maybe an hour before I have to go in another direction. Like a woven fabric, the threads of art are constantly varied from a few to many all depending on what my personal life requires of me. I don't read my yearly goals daily. They aren't anything fancy or professional looking. My goals are handwritten on a sheet of plain white paper. Somehow, just by writing them, they are more imprinted on my subconscious mind. If I write it on the paper, it's important to me. As I imagine where I want to take my artist self from the present, that's what I list as a goal. I go all out with smaller and larger goals. Admitting I want that big goal fuels my confidence and courage to go for it. These goals are written for me...to remind myself where I am headed with creating art. 4. All the goals matter. I pick some big goals and some small goals. My question to myself is this, "what is important to me with my art in 2019?" My art priorities are varied so that there are some very satisfying goals that don't take much time. If the big goals cannot be met because life takes an unexpected turn, I have some comfort. I keep remembering there are ways I can achieve goals with limited time and energy. If a big goal is not met in 2019, I will carry it over to 2020. No judgement. No guilt. I just keep pressing on. 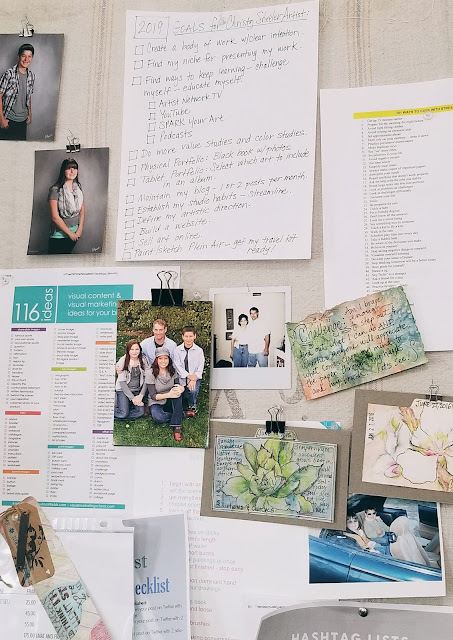 There's a spot at the top of my bulletin board which I reserve for this list. With a thumb tack pressed through the sheet of paper, this list is my declaration for this year. Now that I have these aspirations on paper, they don't belong in a notebook or a file folder. The goals become a part of my art room and a reminder of why I am showing up to make more artwork. I post it there to remind me I am moving forward toward the things that matter to the artist in me. 1. Reflect back on where you have been. Remember back to the beginning, when you decided to make art a priority. How far have you come already? Are you excited to see the changes that have taken place? Feel good about that. Soak it up. 2. Remember your commitment to your art. Why are you creating art? Why is it important to you? Do you feel like your creative self is starving? 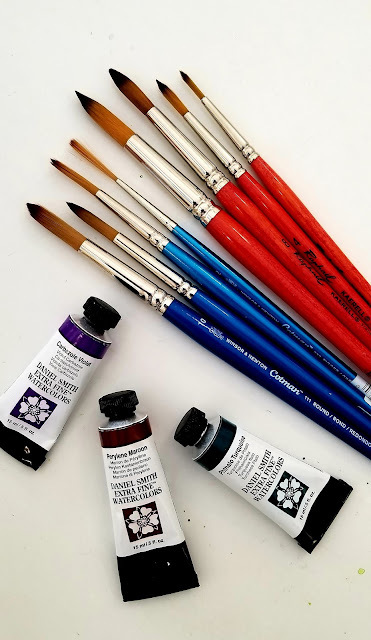 Do you feel like art is your therapy? 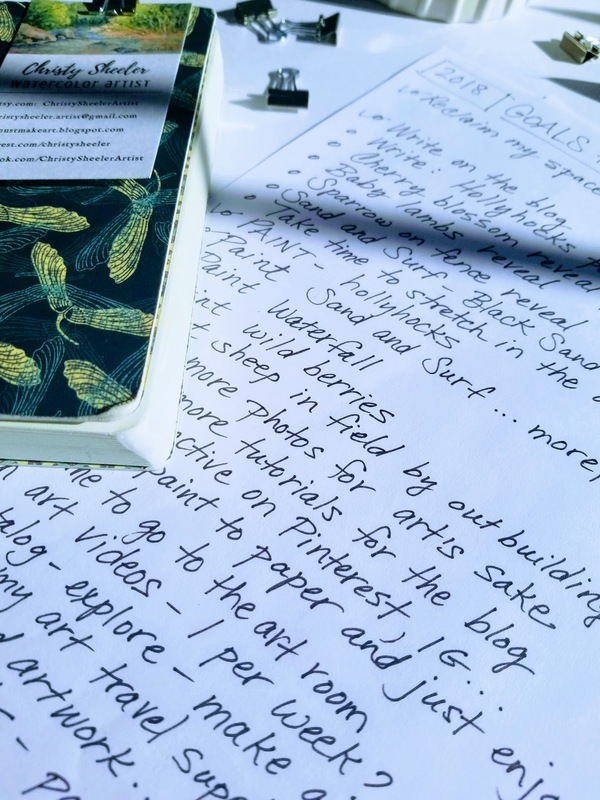 What does it look like for you to give more time and energy to creative pursuits? Don't make it complicated. Nothing fancy here. Take a sheet of paper and a pen. Write down your list of what would be the possible outcomes. When you imagine yourself being more creatively fulfilled, what are you doing? You write them down for your own declaration to yourself, giving you purpose and drive and hope. These are your goals. If it matters to you, it matters. Don't spend any energy downplaying your goals; none are insignificant. If you'd like to take a class, write it down. If you'd like to watch YouTube videos about a specific medium or technique, write it down. Be daring and adventurous without hesitation. Now that your art goals are written down on paper, it's time to hang them up on a wall or bulletin board. Take a photo and make it the wallpaper on your phone. Keep a copy in your planner or sketch book. This is a declaration of intent and a place to begin. Be excited. Be proud. Your creative spirit that is hungry for making art is coming alive again. Do me a big favor...if you wouldn't mind, will you leave a comment with one of your own art goals? Are you going to take on this challenge and write your own goals for art? Is this a habit you have already taken on? How has it worked for you? One of the best things about writing this blog is meeting other creative people. We share this energy to learn more about pursuing art. It's an amazing way to connect with others. Thank you for dropping in and sharing some of your time here. I ramble on and wonder whether anyone is out there that might relate with what I share. It's like my artist journal. These are my thoughts and inspirations. I hope it inspires you. Life will soon change as I return to nannying for six months. I'll be in and out of my art room but less frequently. Time will be more precious and my posts will be brief. I will attempt to bring some simple yet creative updates. Shorter posts are still a challenge for me. I will be checking in to read comments and answer questions. 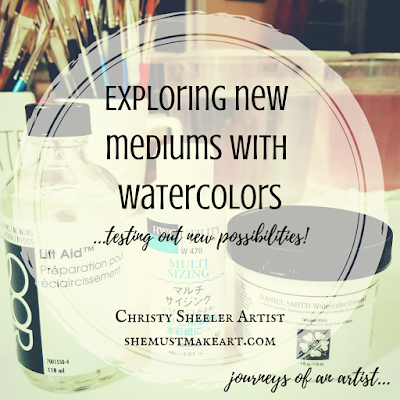 I have new mediums in my stash. It's like Christmas morning. New art supply order arrives and I am a child again. Excitedly, I search through the package for mediums for my art supply stash. I am in love with exploring new methods and techniques. My mind gets lost in thinking about new watercolor possibilities for future artworks. Sometimes, I need to shake up my artist techniques a little bit. Can you relate? I have three new mediums to share today. 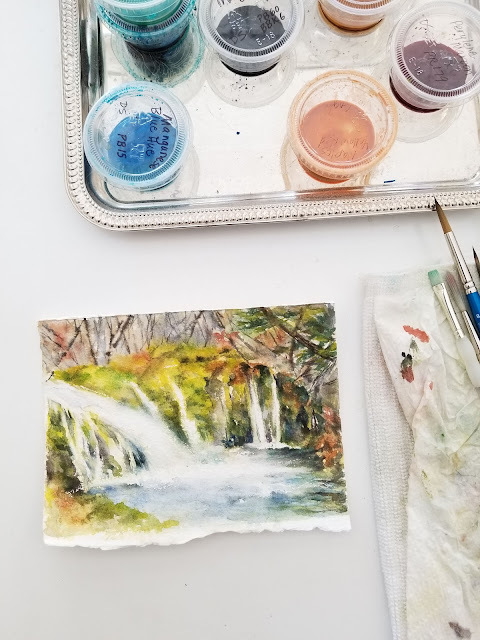 I have been testing out how they can work with my watercolor painting process. Here's the scoop on what I've grasped so far! 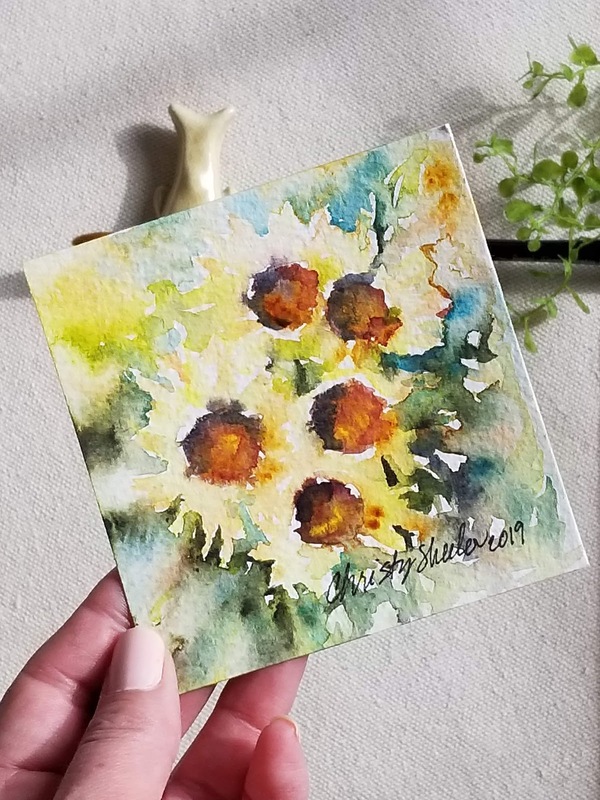 Watercolor paper can lose its sizing. I have experienced watercolor paper that is no longer its original best which is frustrating. I learned to buy only the paper I need for several months. Great changes in temperature and humidity can affect the sizing. My art room wasn't always heated and so the range of temperatures was hard on my paper. You might still be asking, "what is sizing?" 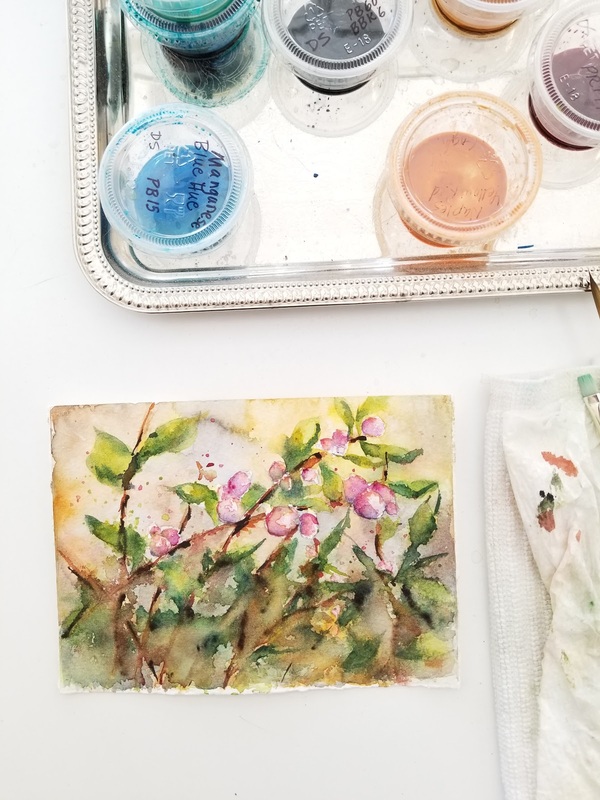 Watercolor papers are treated with a substance like gelatin that makes the surface less absorbent. 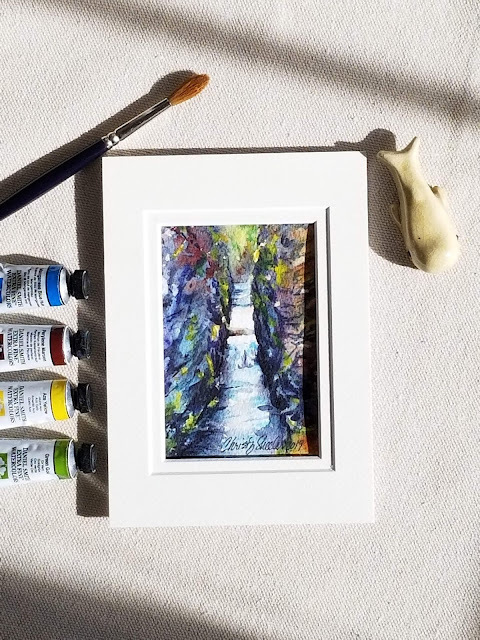 The watercolor pigment and water can float on the surface. When a paper loses its sizing, the color and pigment sink down quickly and cannot be lifted out. Many times, a strange speckled texture appears in the paper surface. I want to add that the papers I have had issues with sizing-wise were high quality 140 lb. watercolor papers. This is not about cheaper paper, though it can happen with any quality of watercolor paper. 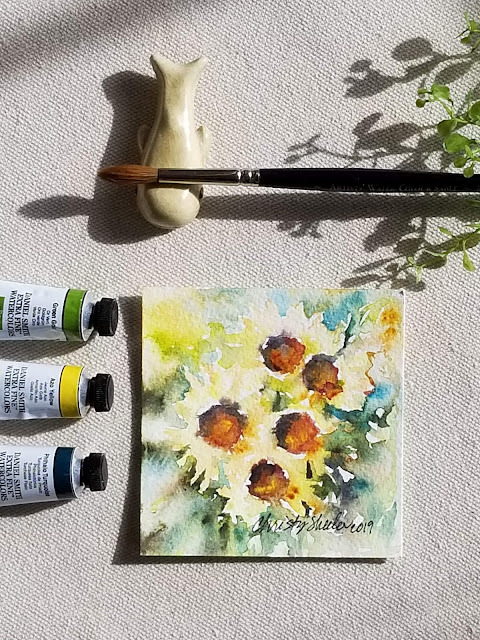 If you would like to learn more about watercolor sizing: Birgit O'Connor's blog explains this with more detail. 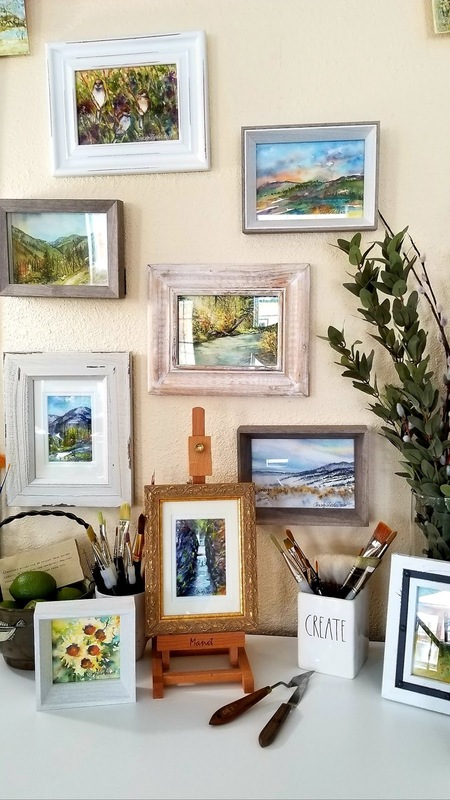 If you would like to see examples of what to watch out for: Karen Sioson's blog describes these paper problems along with photos. I have odds and ends of 140 lb. cold pressed watercolor paper in my paper stash. I would like to be able to treat those papers so I can still paint on them. My search began with wondering if these mediums would be an asset for this purpose. I have been playing with these three mediums to understand them better. Question: Will this medium work to help with sizing problems? 1. Set up a work area away from watercolor palette. Don't let any of this mix on your palette. 2. Use a water container that you'll rinse well afterwards. You probably don't want any of this to migrate to your watercolor painting sessions. 3. Rinse your brushes well and right away. I am not sure why I thought this would be a possible solution. I was all out determined to find some options. 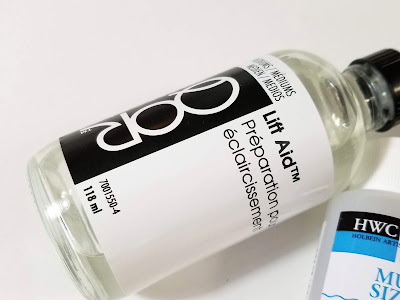 The QoR lift aid peaked my curiosity. Lifting back to white can be a challenge and I like the idea of having some extra assistance. Don't get me wrong. I am not going to be prepping all my watercolor paper before I begin paintings.